The Boston-based asset management firm behind Wall Street's famous "Fearless Girl" statue has agreed to pay $5 million to more than 300 women to settle gender discrimination disputes, per Bloomberg. The charges alleged the firm has been paying hundreds of its female executives less than their male colleagues since at least December 2010. Despite settling, the company has denied the claims and maintains that it is "committed to equal pay practices." 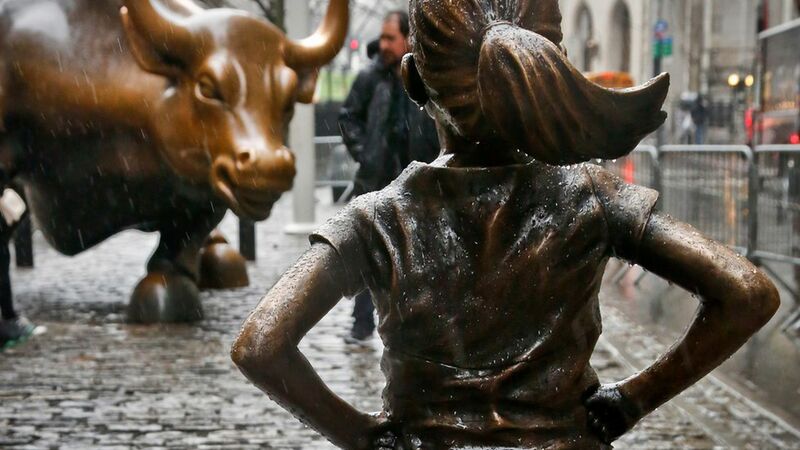 Why it matters: The statue of a little girl defiantly staring down Wall Street's Charging Bull statue was installed earlier this year, and has since become a symbol of female empowerment. The plaque below her reads: "Know the power of women in leadership. SHE makes a difference."